Pumpkin pie is an incredible dish that is loved by all, young and old. This hard to resist dish gets its great taste through spices. This native South American dessert is often prepared during early winter or fall. Pumpkin symbolises the time of harvest and special pie pumpkins are used in the preparation of this dessert. Here’s is a list of spices that you cannot miss in your pumpkin pie dessert. Pumpkin pie recipe in Australia is incomplete without this highly-aromatic, brownish spice. Cinnamon is actually the inner bark of the cinnamon tree and offers a distinctive flavour to your pie. This versatile spice lends a sweet, warm aroma and a sunny character to your pumpkin pie. Cinnamon is available in different varieties. The most common ones are the Ceylon and Cassia cinnamon. While the Ceylon cinnamon is more refined, Cassia cinnamon is widely available and more economical. However, benefits with both varieties remain the same. Depending on your taste, you can use either of the cinnamon types in your pumpkin pie recipe. Fresh ginger is dried and grounded to form ground ginger. This earthly flavoured spice can be combined naturally with other spices like nutmeg and cinnamon. Almost all savory dishes use ground ginger. Your pumpkin pie recipe can be made much tastier by combining ground ginger with complementary herbs. It also has several medicinal benefits making your pumpkin pie delicious and healthy. It comes from the fruit of tropical evergreen trees. The hard and crinkled nutmeg “nut” is encased in a membrane which is then dried and ground. It is used not only for flavouring but also as preservative and medicinal purposes. This prized spice must be a compulsory addition to your pumpkin pie recipe in Australia. It brings fragrance to the food and a warm and curious complexity that you can do without once tasted. It is used extensively in Indian and Chinese cultures extensively as a curative, flavour enhancer and as an aphrodisiac. The cloves are basically dried flower buds that add a sweet and deep aroma to the dishes. They can be either grounded or used as a whole. They offer a bitter, camphor-like, highly aromatic flavour to your pumpkin pie. Cloves are popular for their intensity and need to be used with care. A small amount can be complemented with other spices and can pair well with both savoury and sweet flavours. It is made from the evergreen pimento tree mainly found in South America and the West Indies. Its flavour profile can be compared to a combination of nutmeg, cloves, and cinnamon. This complex flavour inspired the name “allspice”. It needs to be used in moderation for cooking. 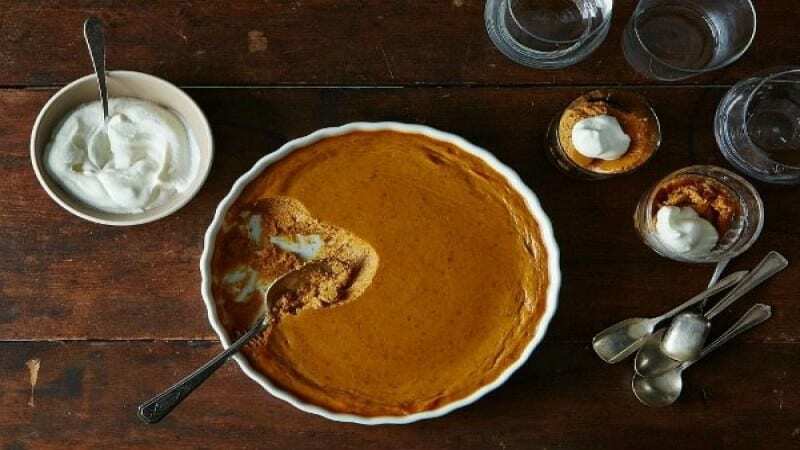 You will only need about 1/4th or 1/8th teaspoon for making your pumpkin pie taste great. It is available in both whole and ground version, although, the ground version has a higher success rate in desserts like pumpkin pie. Desserts are meant to enhance your dining experience by leaving behind a sweet, pleasant flavour in your mouth. Addition of right spices in right quantities will fetch you tastier food that you will relish for a long time to come.